Mumbai is one of the largest and major cities of India which was previously known as Bombay and is the capital city of Indian state-Maharashtra. It is also known as ‘the city of dreams,’ as people from across the country come to this city to fulfill their dreams. This mega-city never sleeps and remains lively till late hours at night and is also considered as a major metropolitan city of India. The Bollywood capital of India is a hub of finances, commerce, and industries. This amazing city has a lot of sites to be visited, it has the largest Stock Exchange of India. The seven islands of Konkan coastline were conglomerated to from Mumbai, the island city of India. Thousands of people come from different parts of the country to visit the wonderful Mumbai city, and they majorly refer to as “Mumbai Darshan.” Travellers mostly look for reasonable, Mumbai darshan cab fare so that they can best explore the prosperous city while travelling in a cab. The city has the power to make you fall in love with itself. The beauty, nature, the culture is all mesmerizing and you would definitely visit Mumbai again. 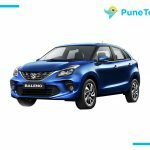 Mumbai darshan car hire by Pune Tours is the best cab to hire as because it has professional and efficient drivers who have expertise in this field of driving, they are also trained for their specialty vehicles. The wonderful city which is easily accessible through Air, Rail, and Roadways. Thus, is the melting pot of India with cosmopolitan culture, little pleasures and different kind of people make the city even more vibrant and energetic. The city is famous for its monuments, local market, Bollywood stars, beaches and not the least for its mouth-watering street foods. This metropolitan city is also famous for its temples that have diverse architectural style, traditional values, and religious legacy. Few beautiful temples to visit are Siddhivinayak, Mumbadevi temple, Mahalakshmi Temple, Iskcon temple and many other significant temples. The city also has lovely picnic spots to spend valuable time with friends and family, few are Thane, Saguna Baug, Karjat and Lonavala & Khandala. The major attractions of the dream city are the heritage buildings, the Gateway of India, Haji Ali, the Kala Ghoda Art Precinct, caves and national parks, Juhu Beach, Film city and many others. Mumbai also has beautiful neighboring cities like Pune which is well known for its Lakes, Palaces, Temples, Caves, Museums, Churches, Osho, Amusement Parks, and Pubs. Pune is just 170 kilometers from Mumbai. The city is full of greenery and the climate is cool and moderate. Hence for Mumbai Darshan Cab Hire from Pune with Pune Tours is also advisable and reliable. Pune Tours assures you a pleasant, Economical and would provide drivers who are extremely polite and professional. Mumbai darshan car hire with Pune tours can not only make you feel comfortable but at the same time, you would encounter the kind, friendly and pleasant personality of the drivers and even the employees are more knowledgeable and would offer the best Mumbai Darshan Tour Package. The billing would be transparent and the trip would be hassle-free. 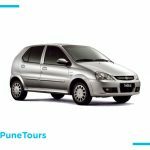 Pune Tours would accommodate you with the best cab as per your requirement and professional drivers who are experts and are trained in the field of driving. 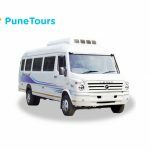 Cooperation is the main key element that Pune Tours is known for. We offer you full coordination and efficiency for the trip to be a pleasant one. We maintain the highest level of punctuality and also to avoid any kind of calls to trouble the consumers who have booked our services online. For an amazing trip to Mumbai, call us on +91 7721 91 2222 or more information visit our website punetours.com. We would look forward to serving you, efficiently.